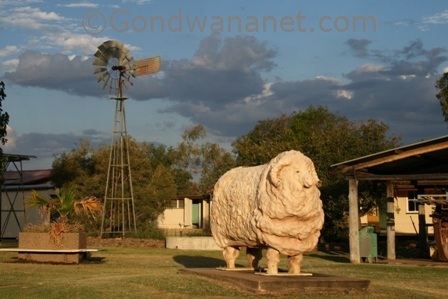 Blackall is a small town in outback Queensland. It's mostly known for its history of wool shearing. 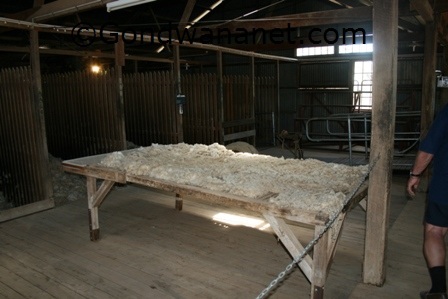 Its famous woolshed, more correctly a wool scour or cleaner, is still here and has guided tours for visitors. It was built in the early 1900s and operated until the late 1970s, and it's the only one of its kind that is left in Queensland. The town is also famous as the former home of Jackie Howe - a sheep shearer who set the world record for shearing with hand shears in its day. 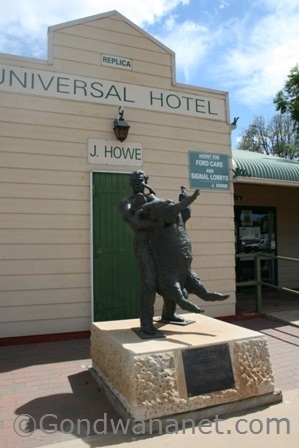 When he retired he bought and run the Universal Hotel - a pub that does not exist anymore, but a facade that is similar to the original one is behind his statue in the main street. The building contains a museum and a souvenir shop. 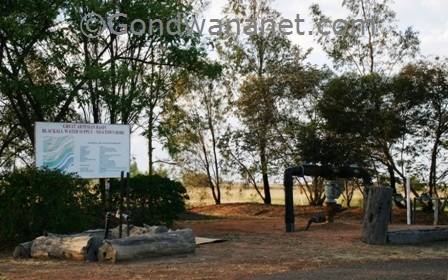 The town was also the first in Queensland to have an artesian bore. Now many Queensland outback towns do, thanks to a large artesian water supply deep in the ground under outback Queensland. 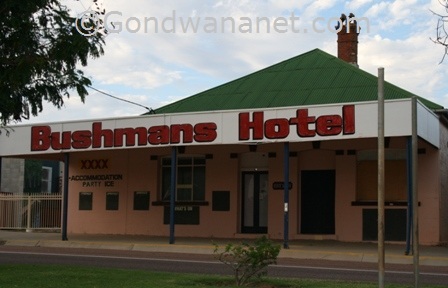 There are a few different pubs, shops and places to stay, and there is also a caravan park. 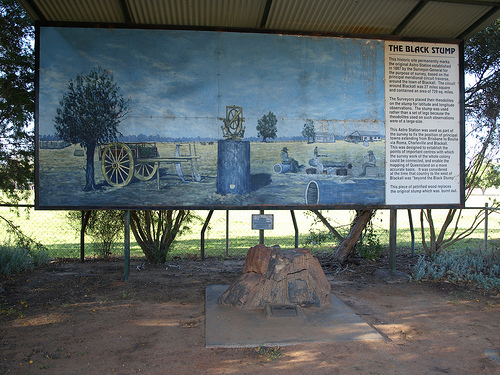 Blackall is also one of the towns in Australia, and the only one in Queensland, that claims to be the place of the original "Black Stump". There are different theories and the full truth behind the historical expression is not fully known, but in modern meaning (and some historical theories) it means that beyond the black stump is (or was in its day) no civilisation.